I just wanted to let you know that I am going to abandon this account and join under a new one. You will possibly never hear from the user "somerandomperson" again. It's probably against the rules for me to join under a new account, but this one is old. My computer thought it was a virus. Is it possible you might be able to fix that? itch.io Community » General » General Discussion · Replied to leafo in (couldn't find the appropriate board for this sort of topic) I'm a little upset. Leafo, I just like to post in forums, okay? itch.io Community » General » General Discussion · Created a new topic (couldn't find the appropriate board for this sort of topic) I'm a little upset. 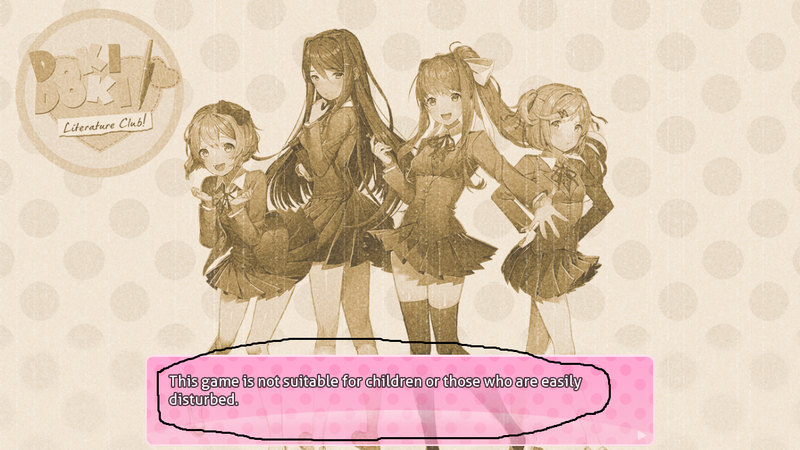 I was trying to play Doki Doki Literature Club, but then I read a little something that made me feel... offended. I'm a teenager, which is technically a child. But I still want to play this game... it says it's "not suitable" for me, but I disagree. Can someone help me with this sort of thing? itch.io Community » General » General Discussion · Created a new topic I'm kinda stupid. I have not really posted in a long time. itch.io Community » General » General Discussion · Replied to leafo in I wonder if I can properly upload MoonScript to my own site? itch.io Community » General » General Discussion · Created a new topic I wonder if I can properly upload MoonScript to my own site? I have a feeling it's not gonna work, but hey, who knows if you just try? itch.io Community » General » General Discussion · Posted in Am I the only one who wishes to make a website similar to itch.io? Sometimes I wonder what it's like to be an admin of the same site as you, Leafo. itch.io Community » General » General Discussion · Created a new topic Am I the only one who wishes to make a website similar to itch.io? Because I think it deserves a shot on another cool website. Why did they change it? Are they just too scared that I may not get a proper avatar? What sort of software did you use to make it? itch.io Community » General » General Discussion · Posted in Hi Itch.io! itch.io Community » General » General Discussion · Created a new topic Hi Itch.io!